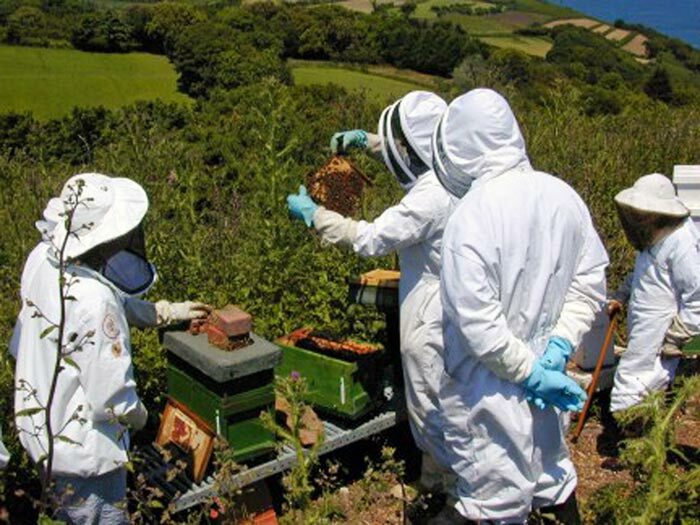 These images show students who were learning beekeeping at Evening Class run by Guernsey Beekeepers having a practical lesson. A nervous student has a go! are these drones or brood?